I looked through my yarn and saw that I had a lot of lovely yarn in cotton at my place so why not use some of it? 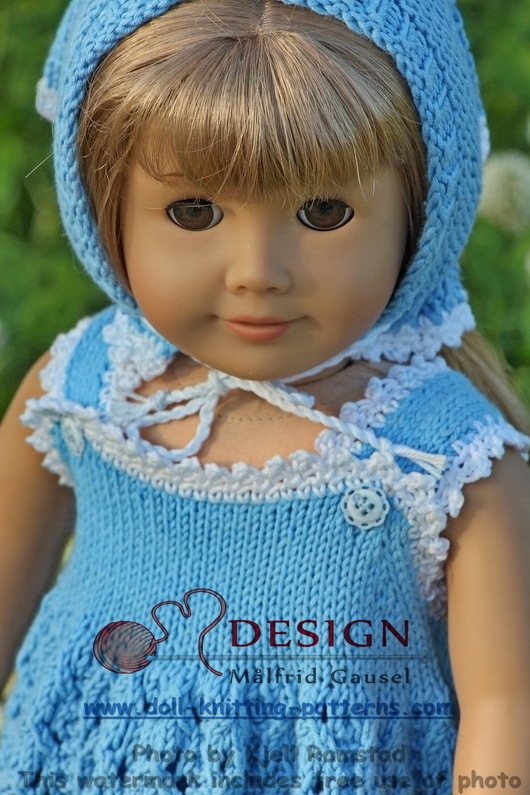 I looked at this blue color and decided to knit a beautiful summer dress for my doll Jana in this color. 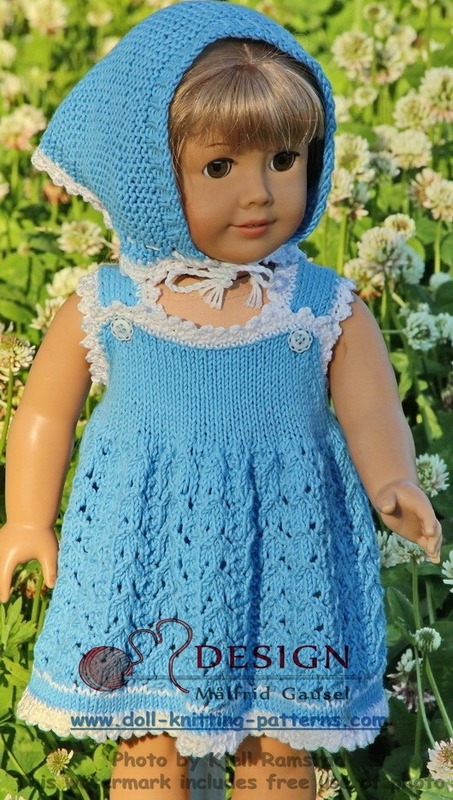 ... a new summer dress blue as the sky and the lovely flowers we have in the garden at this summer time. However, of course! Now she needed a pants. 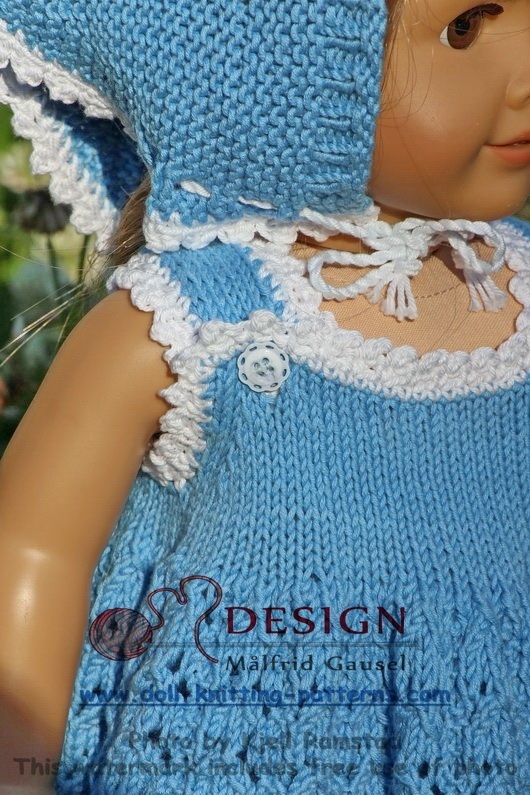 I knitted the pants in blue and crocheted nice edges round the legs as I did the edges of the dress. 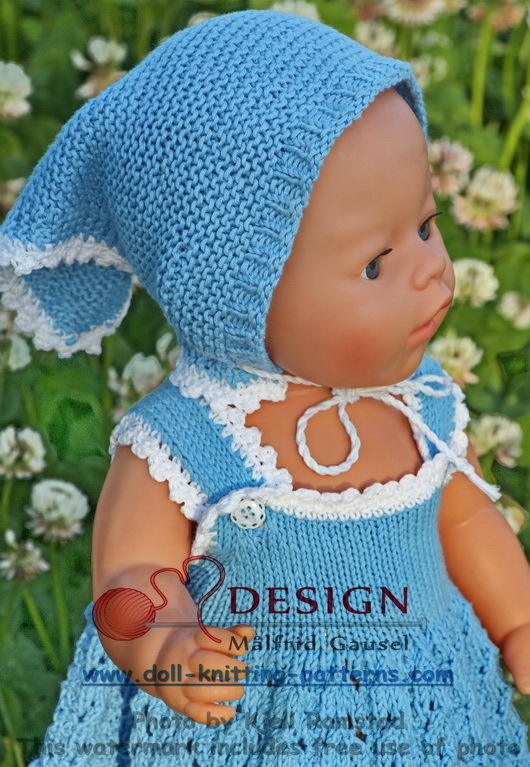 As the sun is very warm summer time, I decided to knit a headscarf for Jana in garter sts. 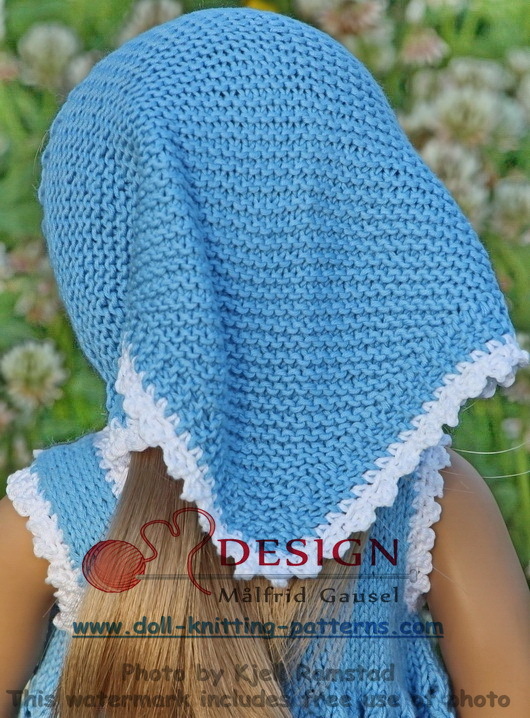 Lovely to wear when the sun is too hot! 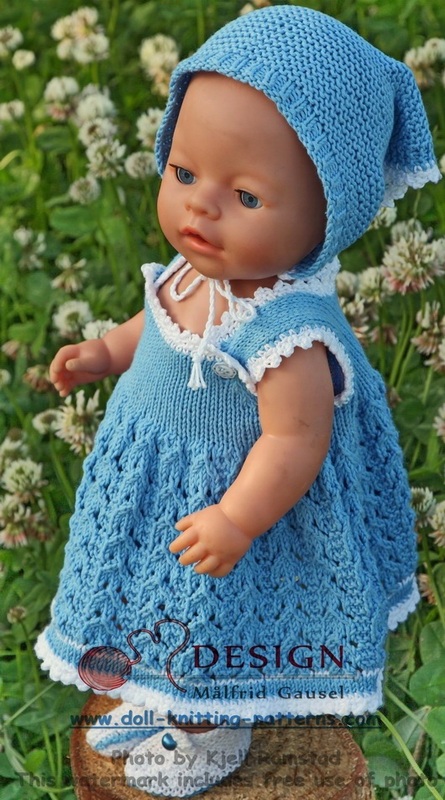 Small, white shoes knitted in garter sts fitted this garment very well. The shoes have a row around the soles in blue and they are buttoned at the outside to with fine blue buttons. 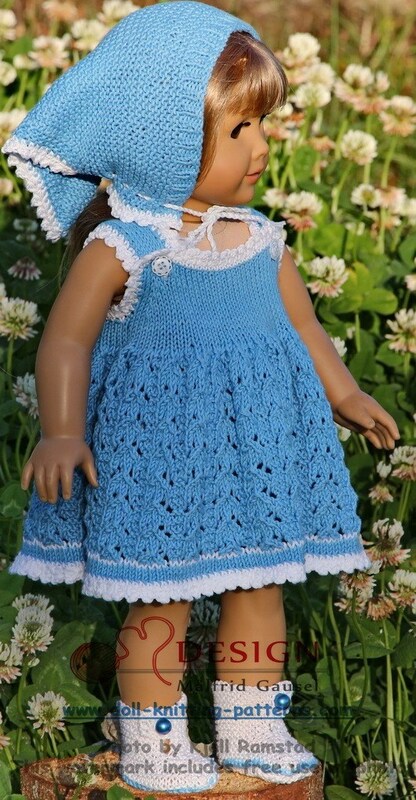 As my doll Jana was dressed in these summer clothes, I think she was beautiful! ... 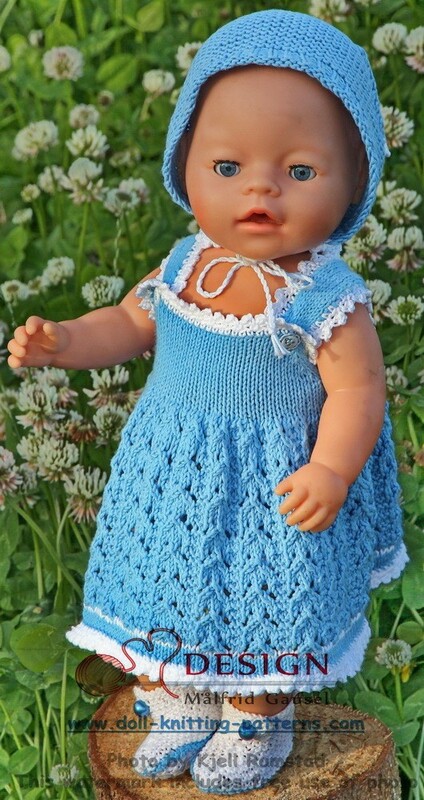 I was happy to dress my doll in a lovely new dress. However, of course! Now she needed a pants. 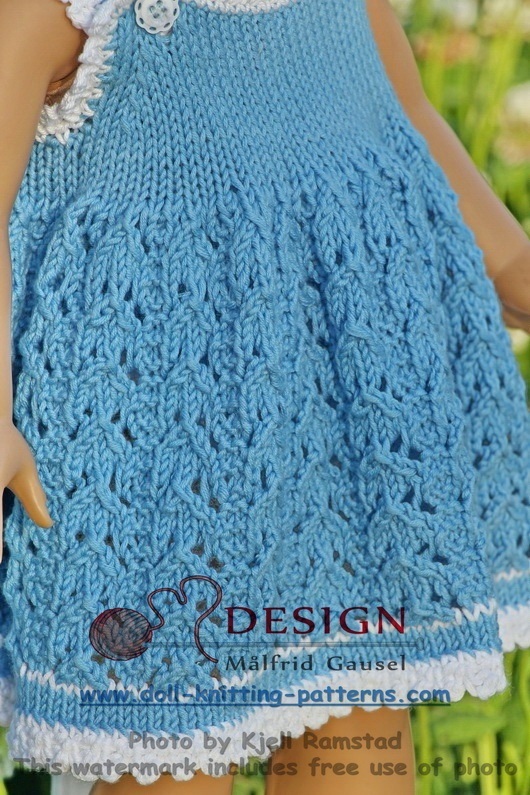 I knitted the pants in blue and crocheted nice edges round the legs as I did the edges of the dress.